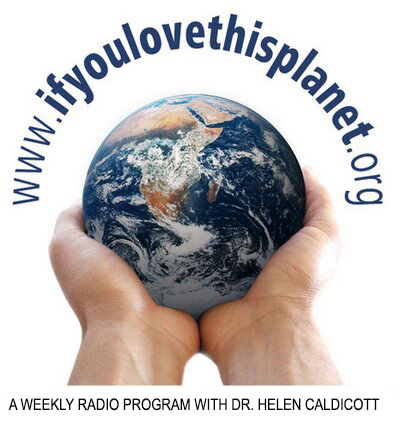 Anti-nuclear pioneer Helen Caldicott slams SA waste dump plans - Helen Caldicott, M.D. A pioneer of Australia’s anti-nuclear movement has described the final report from South Australia’s Nuclear Fuel Cycle Royal Commission as a “snow job”. The report says plans for a high- to intermediate-level waste dump should be actively pursued, if the public wants it. The report by commissioner Kevin Scarce was handed to the SA Government at the end of last week and made 12 recommendations. They include pursuing a waste dump, simplifying mining approvals processes and seeking a relaxation of federal restrictions on nuclear power generation in Australia. Tentative findings released in February recommended the creation of a high-level waste nuclear dump that would store 138,000 tonnes of spent fuel from around the world, as well as a separate “above-ground interim storage facility”. 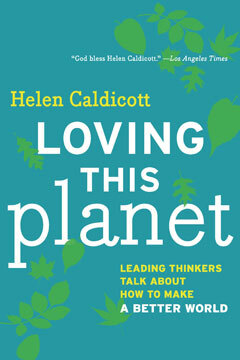 Doctor Helen Caldicott is a paediatrician who also helped found the organisation Physicians for Social Responsibility. 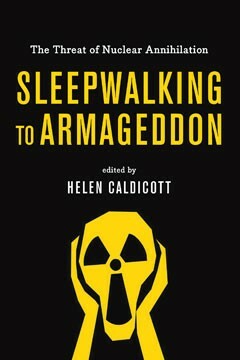 Her anti-nuclear work stretches back decades and includes playing a major role in Australia’s opposition to French atmospheric nuclear testing in the Pacific. Dr Caldicott said in relation to the waste dump, no technology exists to safely store nuclear waste in the long term. “It’s [the royal commission report] exactly as I expected. It’s really been a snow job, if you like,” she said. Dr Caldicott said the state’s record as a centre of fine produce would be ruined by establishing a nuclear waste facility. “SA has a great reputation for agriculture and I travel a lot overseas, particularly in the US,” she said. South Australia’s Premier Jay Weatherill has said he planned to consult the community widely about setting up any dump and urged the public to “keep an open mind”. South Australian Liberal senator Sean Edwards believes the state could earn billions processing other countries’ nuclear waste and use it to potentially generate free electricity. He said the commission’s final reports showed a nuclear industry could reshape the state economy by earning it billions of dollars. “I just urge people to take the time to get to understand what this proposal actually is, but then have a look at the beneficial nature of what we can achieve,” he said. As Dr. Caldicott retweeted recently, a small mishap at a US temporary nuclear waste storage facility (a chemical reaction that caused a single drum of improperly packaged nuclear waste to explode) could cost up to USD 2 billion to US taxpayers. The Royal Commission delusional idea is to setup a facility in South Australia to store the equivalent to tens of millions of such drums underground, over a period of more than 50 years. This implies the shipping by sea of hundreds of thousands of tons of spent nuclear fuel, a risky operation that has never been undertaken before, followed by the transportation by train of this nuclear waste to the storage facility somewhere in SA, where the nuclear waste would first be “processed” in some unspecified manner before being stored underground (the “processing” part of the plan is not specified by the Royal Commission simply because the technology does not exist). This is similar to playing Russian Roulette every day for 50 years, and expecting to win. As any risk expert will immediately warn us about, the potential for disaster is high, in fact at any point in the transport chain and then even higher at the storage facility itself. As the relatively small accident at the facility in the US demonstrates, cleanup costs escalate astronomically when it comes to nuclear waste accidents. Insurance companies would laugh at the idea of providing any insurance for such a delusional plan, so the risk is on taxpayers. SA citizens are now faced with a decision to either allow such a delusional plan to go forward, or stop it before it materializes in the form of binding contracts and international agreements. Let’s make no mistake here: this plan will benefit very, very few individuals (among others, some members of the Commission itself). On the other hand, it exposes the entire continent to a major risk of radioactive contamination. And once the spent nuclear fuel is unloaded from a cargo ship in an SA port, come what may, there will be no turning back: Australians will be stuck with it for the next 500,000 years. Jay Weatherill’s big vision for South Australia is as the global nuclear toilet, increasing the GST and selling off our assets. they do say we get the governments we deserve. I just can’t remember doing anything to deserve this kind of treatment. Thank you for the article. This is actually a global problem of nuclear waste and its safe storage. True, according to numerous cases around the world, the nuclear waste does pollute the land and water, leading to the generations of sick plants and animals. Hopefully, SA will cope with this problem successfully, and remain proud of its agriculture. There is interest in building Nuclear power plants also.I noticed PM Modi, India is negotiating with Obama re: 6 nuclear plants for India’s energy relief.Imagine a full go ahead on building nuclear plants all over the world.Another 1000 or so.What would the Fukushima type risk be now that climate change is so obvious to the world?Catastrophic chain reaction both natural and made made? 1. Drill a hole somewhere in SA. 2. Shove hundreds of thousands of toxic nuclear waste shipped from all over the world in the hole. 3. Profit $. Obviously, very few will profit. 4. Leave the catastrophic problems that will arise for the next ten thousand generations to deal with. Spent nuclear fuel contains approximately 1% plutonium and 0.8% uranium-235, both are fissile elements and highly radiotoxic, and will remain so for hundreds of thousands of years. Spent nuclear fuel can only be shipped in concrete and steel “dry casks” weighing more than 50 tons, that are rated for a maximum of 50 years, under ideal storage conditions. The technology for storage of spent nuclear fuel over more than a few decades simply does not exist. Why would South Australians bet the future of the continent itself over this nonsensical and immoral “plan”? 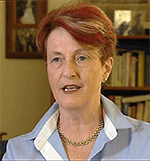 Dr. Helen Caldicott is quite correct in slamming the final report from the Royal Commission as a “snow job”. I live in Vancouver B.C. I remember Helen Caldecott from 1976. She said then that no technology existed to store nuclear waste. I thought otherwise. I knew we could store it safely someday. I am wrong. 40 years later, we can’t even run a nuclear plant safely. We can’t store this radioactive waste for 50,000 years. We won’t ever be able to do that. I am old now, and I’m sorry I didn’t actively try harder to stop this madness. Now it is your turn to stop this continuing madness. Good luck to you. Dr. Caldicott was right 40 years ago, and she is right today – actually more than ever her warnings should be heard worldwide. Unfortunately today we have to deal with 40 more years of nuclear waste, meaning hundred of thousands of tons of spent nuclear fuel, and millions of tons of low-level waste (but still extremely radiotoxic). As well as billions of tons of contaminated and dangerous tailings from uranium mines – some of which are in Australia. Still today, there is no safe long-term storage technology for any of these kinds of nuclear waste. This is actually a most dangerous legacy we are leaving for future generations, in many ways comparable to climate change.